If you’re new to Wicca, you’re about to discover just what you’ve been looking for. Along the way, however, you may have a few questions. If you’re wondering what your Wiccan element is, you’ve come to the right place. Read on to find out more about your Wiccan element and yourself. 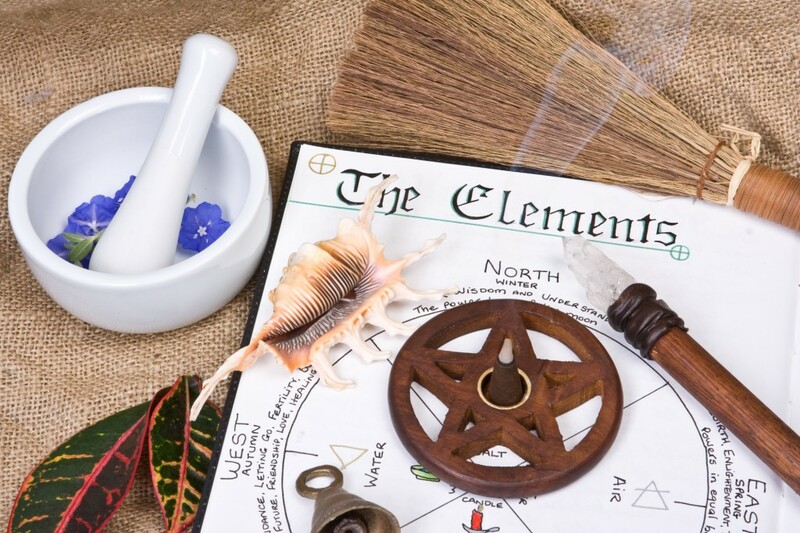 Wiccan elements are divided into five categories. These categories are air, fire, water, earth, and aether. It’s easy to find your sign, based on your astrological sign and personality. If you aren’t familiar with astrology or are unsure of your zodiac sign, we’ve included a list below. These indicate where the sun was on the day you were born. When you’re ready to explore deeper, be sure to use your exact birth location and time to create a more in-depth profile of your chart. Now that you know what sign you are, you’ll know what element you’re predisposed to embody. This isn’t to say that your sign will be the only factor contributing to your element. You should also be mindful if you’re on a zodiac ‘cusp’. This can contribute to possible inconsistencies you feel between you and your suggested element. Fire – Sagittarius, Leo, Aries. Water – Cancer, Scorpio, Pisces. Earth – Virgo, Taurus, Capricorn. Each of the four elements possesses unique qualities that reflect the predispositions of those born under the 12 houses of the zodiac. Air signs are often considered to be witty, clever, and intelligent. Air signs are also more prone to psychic energy and are often represented thru incense, aromatherapy, and feathers. They may be especially gifted at divination and prophesizing. If you are an air sign, you are likely to think and contemplate a lot. You could also be an excellent communicator and tend to talk a lot. Fire is considered to be a masculine sign and the most spiritual sign of the elements. Fire signs are considered to be the most passionate of all of the elements. This may be conveyed through leadership, love, and creativity. Fire is symbolized through stars, fire, lightning, and volcanos. People who are associated with the fire sign tend to have a lot of energy and a strong desire to move at fast pace. The fire element is symbolized through the candle. Water signs are considered to be in line with the feminine elements. Water is symbolized through the chalice or the cup. The water element can also be symbolized in nature. This is most commonly embodied by the ocean. Those who identify with the water element are often driven by emotion and love. Earth signs are grounded, steadfast, and loyal. They are steadfast and lead by their common sense. Earth signs are creatures of the feminine energy and tend to make decisions with their minds instead of their hearts. The earth element can inspire its brethren to become especially gifted in crystal work. This in large part is due to the fact that crystals are an accepted symbol of earth signs and because of the connection between crystals and the earth. The fifth element that is represented in the arms of the pentagram is the spirit. Spirit is all encompassing and is part of all of us. It is what makes air and water one with the earth. It is both fire and solitude. One commonly cited explanation is the analogy offered by Anne-Marie Gallagher. She uses the analogy of the tree to explain how all of these elements work together when united by aether (the spirit element). The tree, for example, is an entity that is rooted in the ground, which is earth. Without earth, the tree cannot live. The tree also needs rain to survive, which incorporates the element of water, which it also must have to survive. The tree converts carbon dioxide into air, which coincides with its representation of the air sign. Finally, the process that allows a tree to live and grow represents the element of fire. Once you’ve discovered your element, you’ll be ready to take the steps necessary to convert to the Wiccan religion. To begin your journey into understanding, you’ll want to research the steps to becoming Wiccan and learn the code of ethics that bind the Wiccan community. Learning as much as you can about the Wiccan religion is a great first step. Fortunately, the internet has made this process easier than ever. Starting with learning about the history of Wicca, you can learn about Wiccan origins, deity basics, and research covens in your area. When choosing a coven, it’s very important to pay attention to the energy around you. Because of the nature of magick, it’s important to only involve yourself in circles of people who vibrate on a high frequency. When you’re ready, you can also seek out a coven that will guide you through an initiation ritual in which you will be presented to the gods. More experienced Wiccans can become a great source of mentorship. With their guidance, you’ll be well on your way to becoming and growing in Wicca. For more information on how you can grow your understanding check out other informative articles from our blog.